Held within the polarity of the reproductive organs is the mystery of creation. The womb of the female becoming the place of quickening for the life that will, if viable reach full term and be replicated as human and physical being. It is this combination of earthly form serving as vessel and the seminal fluids of the male quickening the ovum of potential that the fires of creative out pour are produced. It is the movement and flowing of these waters held in the birth canal that offer up the fires of contraction and expansion to release this new life into being. At a purely physiological state, it is the healthy functioning of the reproductive system that ensures the continuation of humanity. These urges to create further provide ground for interpersonal connection engaging mind and heart in the selection of the fittest and physiological response in the secretion of hormones that will attract. Our digestive system is the furnace that acts to assimilate and effectively distribute what we take into our bodies as nourishment that becomes the fuel to keep us running. It is through this system that the foods we take into our physical structure are broken down into more digestible particles; nutrients and what will enliven are extruded and the transformed products are then eliminated before stagnancy can set in. Our digestive system is also largely responsible for the immunologic responses of our bodies. This information is brief in its content as each of these systems is vastly complex and can be further categorized in sub-systems. The important consideration is that each system is dependent on the other either directly or through the bridge of another in producing the necessary life force to keep us alive. When we consider the complexity and precision of this life force and its active components that keep us functioning it truly is a profound and deeply humbling analysis. These same structures apply to every living thing in their own way of specificity and in larger scope to the entire universe. It is for this reason that our first point of connection to that which is part of, yet independent of ourselves is through the knowledge of our own smaller universe that is our physical being. Once we begin that exploration we see the broader picture of our connectivity to all manner of life and how work on the self, produces far-reaching effects beyond that self. The exercises below are suggested to make you more aware of the pulsation and vibrancy of your body. Most often we do not really feel the movement of the blood and beating o our hearts unless we are engaging in a physical activity beyond what our normal resting state would be. 1. Engage in a moderate from of physical activity for at least 5 minutes. Enough to raise your heart rate. This should be in accord with your state of overall physical condition and what limitations you may or may not have. This activity could be climbing a flight of stairs, dancing, marching in place, etc…Standing or sitting, turn your awareness to the pace of your heart rate, and the feelings of blood moving through your body in response to the exerted effort. Try to completely engage with this sensation and make note of the fiery nature and pulsation of heart beat. Stay in this state of awareness for as long as you are able. As your pulse returns to its normal rhythm, remain conscious of this shifting and “cooling down” period. When you have returned to your normal state of activity, make note of how this differs from what you just experienced. Make note of how much more alive you feel as the release of the endorphins lifts your perspective. 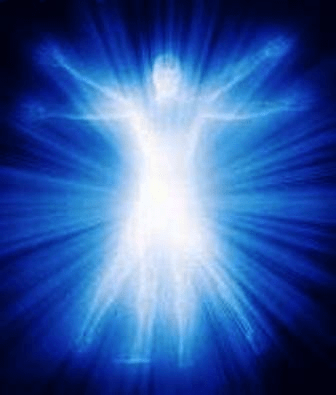 This similar type of feeling can be noted in the raising of personal energy as byproduct of an energetic protocol or practice. 2. Sit in a quiet space where you will not be disturbed. Take a few very deep breaths of inhalation and audibly sigh into the exhalation of each. Do this for several breaths, each time listening more deeply and opening to the physical feelings produced in the expansion and contraction of your chest and lungs. Continue breathing in a relaxed way with no emphasis on inhale or exhale (no sound). Listen more deeply and make note of the sound (inner) of the air passing into your lungs. Really try to hear the gentle whoosh in and the long extended soft sound of exhale. Send your complete focus to the sounds you are hearing for several breaths. Now, shift your awareness to the physical, rather than audible sensations as you breathe. Make note of how your skin stretches softly in expansion on inhale and the gentle and elastic pulling in on the contraction of exhale. Try to consciously expand your skin just slightly further and contract more fully in for a few breaths. Send your complete focus to this action of physical sensation for several breaths. Return your awareness to simply breathing, giving no more attention to the audible or the physical sensation. 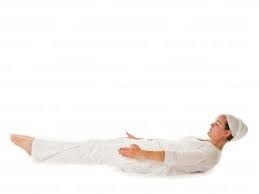 You should be feeling very relaxed and more expansive as you complete this exercise. We forget to breathe deeply and with intention because of the fast paced nature of our days. Taking time to acknowledge and consciously breathe opens your clarity of focus and anchoring to your physical state. 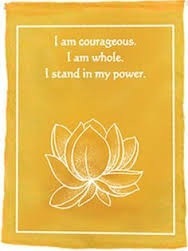 The Third Chakra is also called the Solar Plexus Chakra. It’s name in Sanskrit is Manipura, which means *Lustrous Gem”. It is located at the navel center. 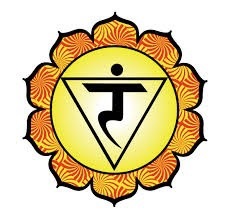 This chakra gathers the energy from the lower triangle of first three chakras to the upper chakras, which we will be learning about in future columns. The color of this chakra is yellow, it’s element is Fire and it is considered a “masculine” chakra. The Third Chakra is responsible for your ability to act, accomplish and achieve. It is your source of energy, helps to turn negatives into positives and ignites your power, both internal and external. When this chakra is balanced and functioning properly, you will feel competent, confident and balanced. You are sure of your sense of self, who you are. You will feel connected, open to opinions. You will have good digestion, feeling healthy, energetic, powerful and in complete control of your life. Conversely, if this chakra is unbalanced, you will feel a sense of powerlessness. You will feel angry and full of rage. You are withdrawn, cold and indecisive. You feel judgmental toward others with a sense of moral superiority and a need to control and manipulate others. Some of the exercises you can do to strengthen your solar plexus chakra are spinal twists and alternate leg lifts. 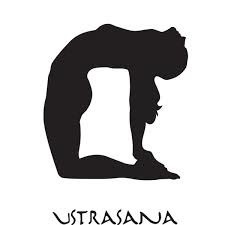 I would also suggest Camel Pose and Stretch Pose. After the meditation, lie down on the floor and relax for at least five minutes or alternately, sit quietly with a relaxed breath. Stretch your arms up toward to ceiling several times before moving. Until next month, when we continue with the Fourth Chakra, I wish you peace, joy and happiness. This is an intuitive technique. Breathe as deeply or shallowly, quickly or slowly, loudly or softly, forcefully or gently as you feel moved to. Use your powers of imagination to make this meditation more powerful. What does breathing in love look like, feel like, smell like, taste like, sound like? You might see yourself sitting in a beam of white light, inhaling a pink mist that feels like joy and warm fuzzies, smells of honeysuckle and tastes like chocolate and sounds like waves breaking on shore. The pink mist of Love could saturate your cells, pulling up stress, hurts, fears, and stuck energy like a microfiber towel picking up dust, leaving your body on a relieved sigh. The key in this meditative technique is repetition. If you are worried about time, set a timer for five or ten minutes so you don’t have to keep count, and let yourself really get into the rhythm of it. You can use this technique anywhere: while pumping gas, going potty, eating, walking, sitting at a red light, standing in line, waiting on hold. The more you practice, the easier it will be for you to manage your own mood and energy level, and the more quickly you’ll be able to change your life.